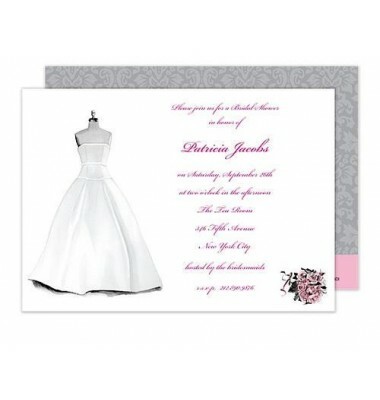 This elegant 5" x 7" invitation features a beautiful bridal gown on a dress form. A bouquet of pink flowers complete the . Perfect for engagement party, shower or luncheon and more. Blank envelopes included. 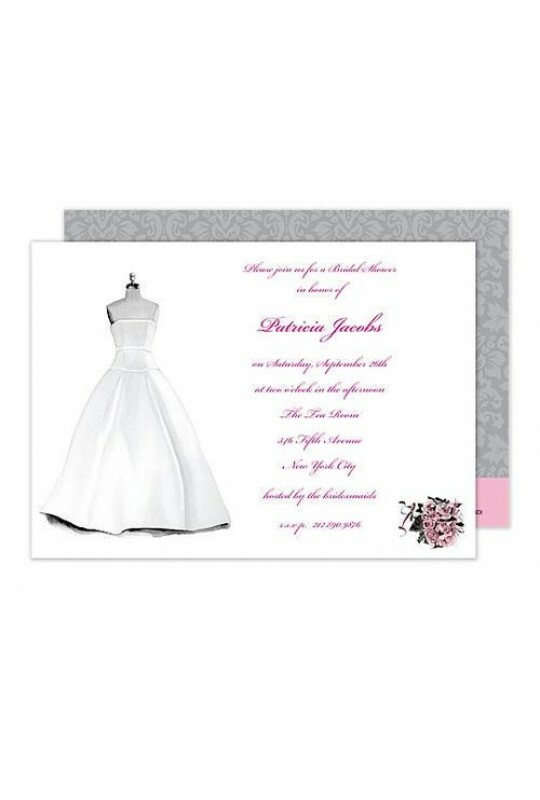 Card may be ordered with the bodice of the dress hand glittered.